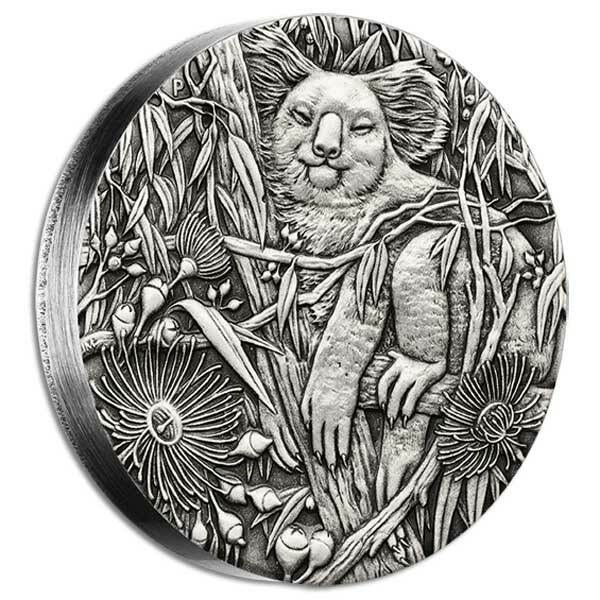 A surprise hit from Coin Invest Trust, this quite beautiful pair of coins is a special finale to a range that’s been in production for 25 years. This is a standalone set with a completely different design and format, so you don’t need to have any of the prior ones to enjoy this one. 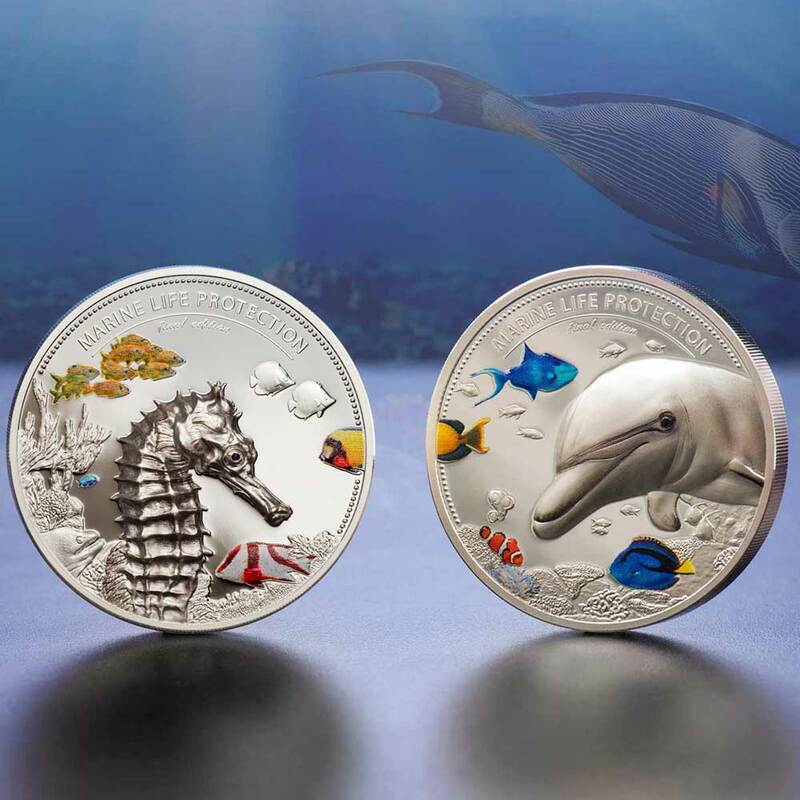 A pair of ultra high-relief smartminted 2oz silver coins depicting a dolphin and a seahorse are without doubt amongst the finest marine-themed coins ever released. 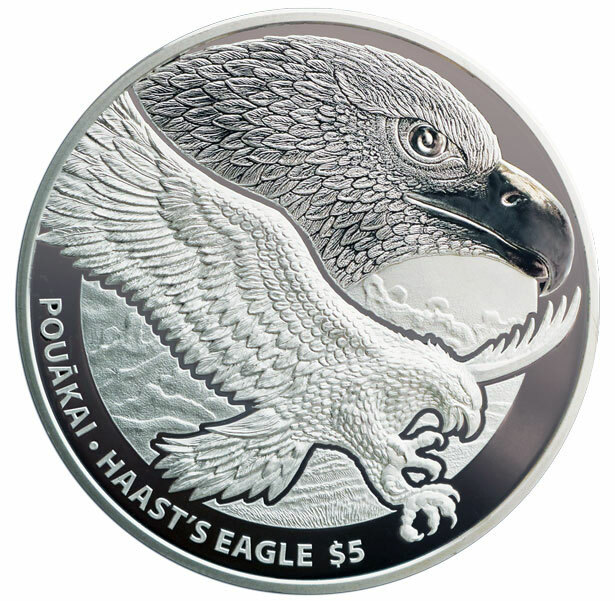 The coin comes in a long, custom floating frame with a certificate of authenticity. 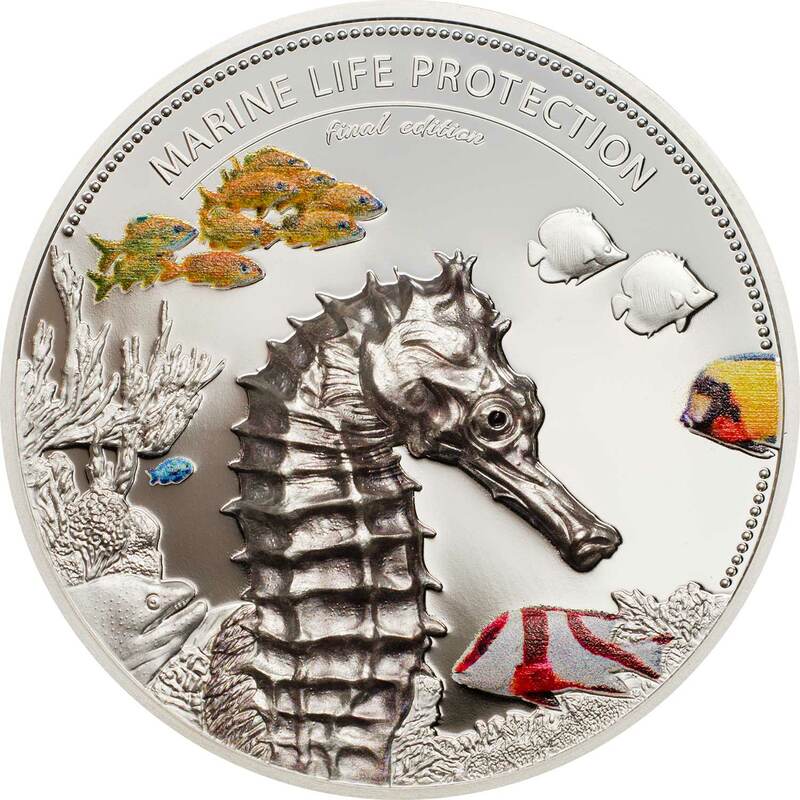 MARINE LIFE PROTECTION 2017 PALAU 4oz PIEDFORT 2 COIN SILVER SET: Marine Life Protection is one of the longest running commemorative coin series in the world. 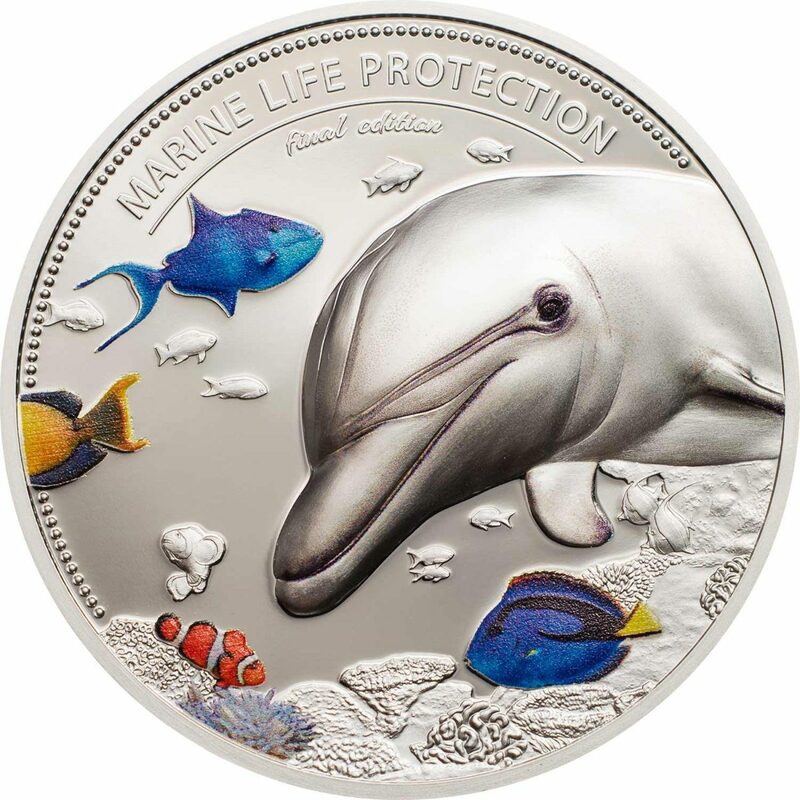 Launched in 1992, the series has seen well over 50 releases featuring an annual, unique coat-of-arms design portraying mermaids and neptune. The final two issues of the series will complete the collection in fine style. 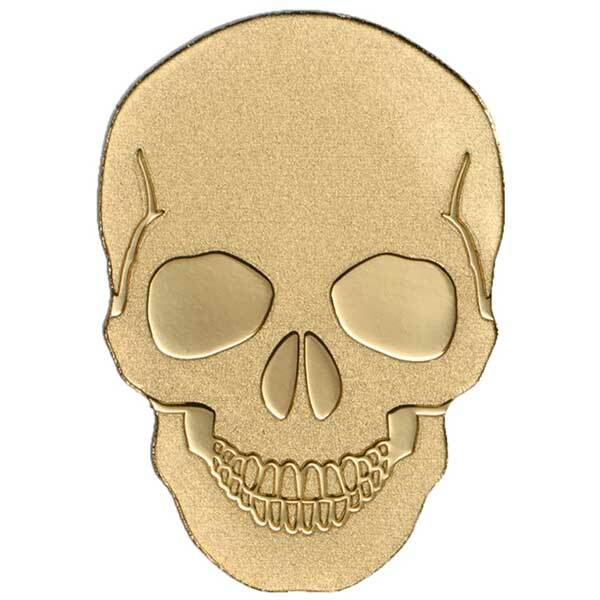 Unlike previous years, no copper and gold coins will be minted. 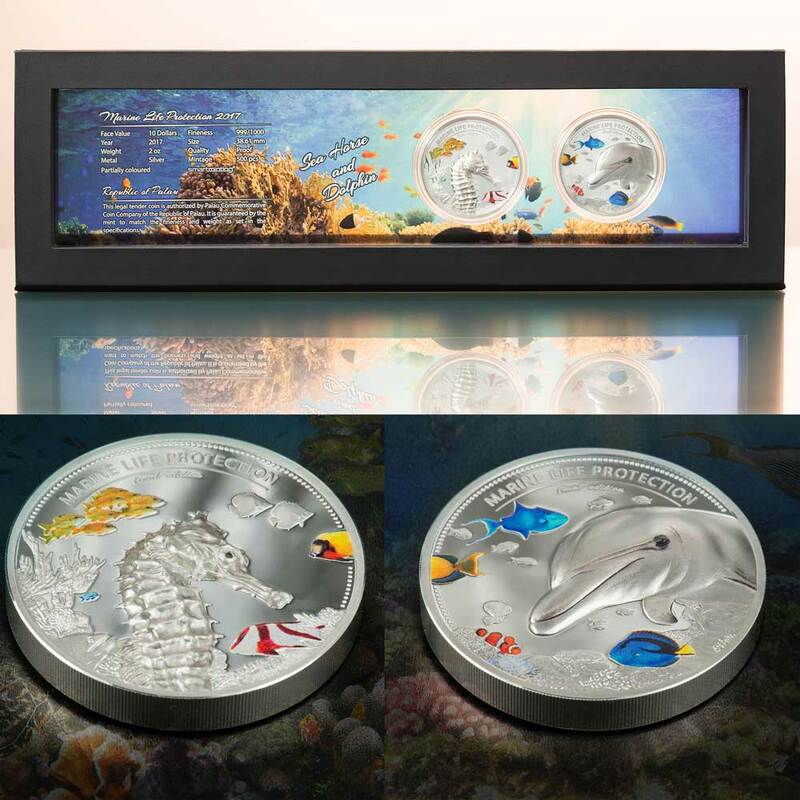 The final two piedfort issues will instead ship as a four ounce, two coin set in a beautiful custom suspension frame with a see-through certificate. 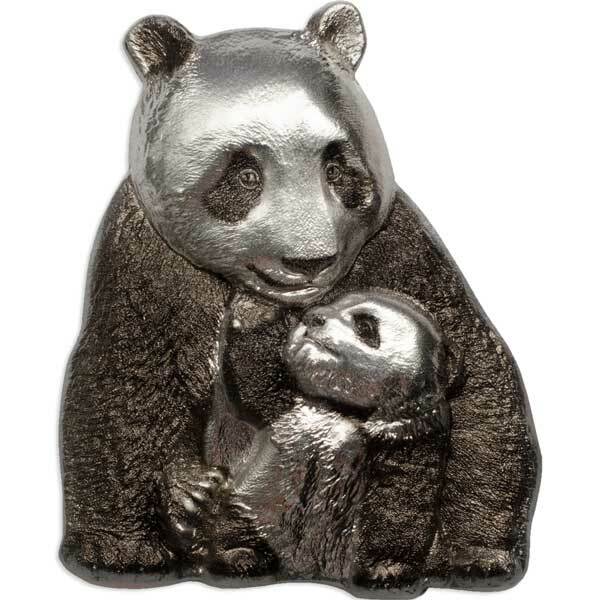 CIT’s ultra high relief smartminting© technology was first applied to the series in 2016 and presents the dolphin and seahorse in the highest relief the series has seen in its 25 year history. 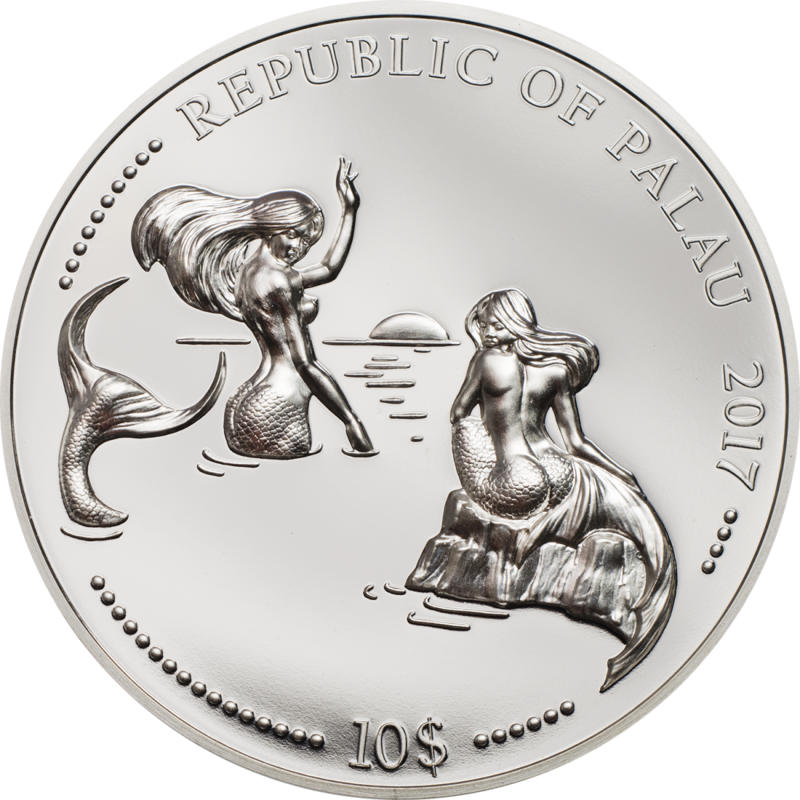 Issued for Palau and displaying a custom high-relief version of the national emblem. Presented in a custom ‘floating’ display frame with a certificate of authenticity.